Today is the UK's annual National Poetry Day. This year's theme is light, so we've lightened our already light prices to create a special poetry day offer. 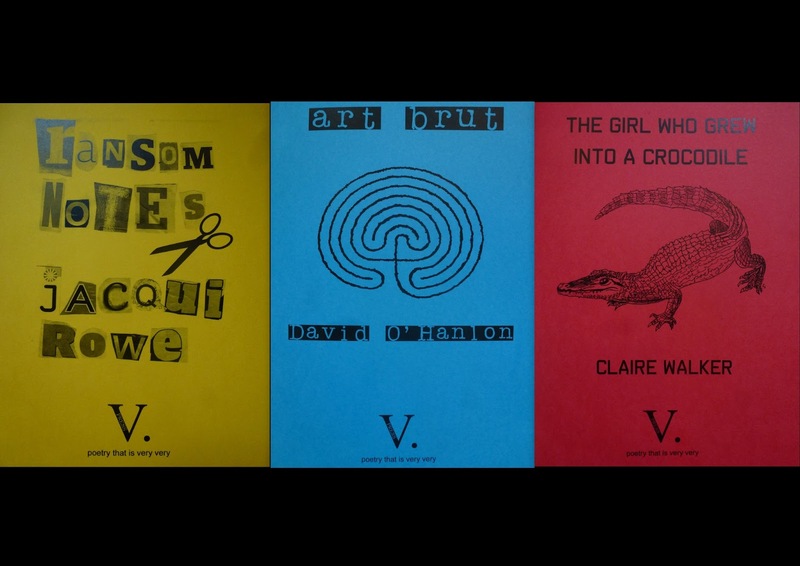 For 24 hours only, U.K. readers can buy a package of all three V. Press 2015 poetry pamphlets for £12.50 (including P&P in the U.K.) - a saving of more than £5 on our full price! The paypal button for this special offer was below (removed after the 24 hours), followed by a sample poem from each pamphlet. ribboned hair to float behind her. who could hold a breath longest. They never matched her. of the current in her ears until her head turned light. her heartsong out with it. of a new jaw and wished for the crunch of bone. her back and she felt her armour shine. as easily as arms stroke water. She snapped her jaws shut. 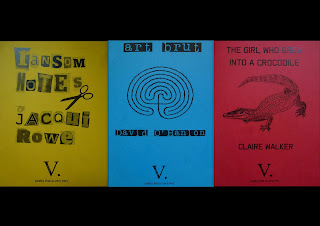 V. Press is very proud to announce the publication of The Girl Who Grew Into a Crocodile by Claire Walker. 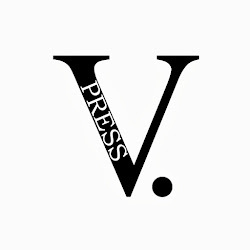 The pamphlet's official celebratory launch is on October 10 in Worcestershire. The event is open to the public and full details can be found on Claire's blog here. A sample poem from the pamphlet can be read below.